Figure 1. 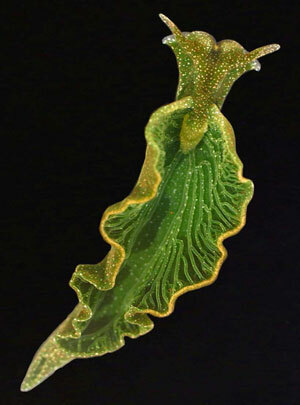 The sacoglossan sea slug Elysia chlorotica is a kleptoplast—it can ‘steal’ chloroplasts from its algal prey and use them for photosynthesis. Kleptoplasty (also known as kleptoplastidy or chloroplast symbiosis) occurs across a diverse range of eukaryotic organisms—dinoflagellates, ciliates, foraminifera, and even some sea slugs! It happens when a predator ingests a chloroplast-containing prey (often algae) and retains only the plastids, while it digests the rest. The predator can thenceforth photosynthesise to produce its own fuel. It really is an ingenious principle: why waste energy constantly looking for prey when one can just devour some algae, retain their chloroplasts, and use them for fuel production? It’s a great mechanism to have, especially in a resource-limited environment. Most plastid-thieving molluscs do not supply their stolen plastids with required accessory molecules, so the plastids must be replaced periodically, leaving these sea slugs dependent on a continual supply of algae.2 However, E. chlorotica and other sacoglossans maintain their chloroplasts, and recent research suggests that E. chlorotica possesses nuclear DNA for photosynthesis.3–5 Therefore, these sacoglossans possess an inherent ability to use and maintain chloroplasts. It really is an ingenious principle: why waste energy constantly looking for prey when one can just devour some algae, retain their chloroplasts, and use them for fuel production? Evolutionists think that kleptoplasty presents a modern analogue for endosymbiosis, which is the favoured theory for the origin of all eukaryotic organisms.6 Endosymbiosis posits that a large, anaerobic prokaryote ingested a smaller aerobic prokaryote and retained it permanently, modifying it to interact beneficially, and even reproducing it during cell division. This is supposed to have happened a couple of times with different prokaryotes to explain the origin of membrane-bound organelles, such as chloroplasts and mitochondria, in eukaryote cells. There are numerous problems with this idea,7–9 and kleptoplasty provides no support for it either. That is what makes kleptoplasty such an amazing phenomenon: the chloroplasts of one organism are sequestered and used by another organism with a completely different cellular environment. The first thing to note is that kleptoplasty involves the sequestration of chloroplasts, not whole cyanobacteria. Most of the information to enable photosynthesis is not present in chloroplasts of algae because it is encoded in the nucleus. So the information needed for photosynthesis couldn’t be passed from the chloroplasts to the kleptoplast. Chloroplasts, unlike cyanobacteria, are also completely dependent on an appropriate cellular environment to function. That is what makes kleptoplasty such an amazing phenomenon: the chloroplasts of one organism are sequestered and used by another organism with a completely different cellular environment. Secondly, chloroplasts are not passed to the next generation in kleptoplastic organisms—especially not in sacoglossans—but the nuclear information for chloroplast acquisition, usage, and maintenance is. It’s like having everything you need to drive a car—except the engine. This is quite different to what is supposed to have occurred in endosymbiosis, where both the endosymbiont and all its genetic information are supposed to be passed onto the next generation when the host reproduces. While kleptoplasty may look like the evolutionary notion of endosymbiosis on the surface, it turns out to work against this evolutionary explanation for the origin of the eukaryotes. How did sea slugs get the ability to photosynthesize? Some of the identical strands found between E. chlorotica and V. litorea by Pierce et al. are around 800–1,000 bp long.11 Therefore, LGT is a possible explanation, though common design for the purpose of kleptoplasty is probably more likely. But even if it occurred by LGT, would the information be truly new, such as to give credence to the evolutionary paradigm? It would be a transfer of information—the information hasn’t been created from nothing. Orthodox neo-Darwinism (microbes-to-magnolias evolution) requires new information to arise by mutations and natural selection. Even if E. chlorotica received the information from V. litorea, where did V. litorea get it from? From cyanobacteria via endosymbiosis? Again, where did the cyanobacteria get the information for photosynthesis from? And here the ‘endosymbiosis’ and ‘lateral gene transfer’ chains end because photosynthesis supposedly originated in the unknown ancestors of cyanobacteria. Where to from there? Another common problem with LGT explanations between eukaryotes is the lack of a mechanism. Prokaryotic LGT is well-documented and has been directly observed many times. However, eukaryote-eukaryote LGT has not been directly observed to date, and is only inferred from the similarity of genetic sequences found in unrelated organisms. This is not necessarily a bad inference—it may have occurred in some measure in the past. However, the lack of direct observational support should urge caution at accepting LGT as a widespread phenomenon occurring between eukaryotes. Moreover, LGT between such diverse eukaryotic organisms would itself require an incredibly complex and coordinated information system to facilitate such a transition. How would such a mechanism originate? Neo-Darwinism? Experimental science is hard-pressed to find examples of a random mutation that produces new information, where neo-Darwinism requires many.12 Moreover, we see an inexorable trend of genetic deterioration caused by near-neutral mutations that will eventually lead to the extinction of all multicellular life.13,14 Even with systems that are designed to produce a certain amount of variation (which may even involve a measure of LGT), there are fixed limits to designed variation potential because for life to work it must be able to maintain fundamental genetic and cellular stability.15 Therefore, not even this can stave off forever extinction by genetic deterioration.16 Molecules-to-man evolution expects the exact opposite of what we see happening in biology, so it’s a seemingly impossible concept. Is lateral gene transfer likely? It is possible that LGT has played a role in the history of sacoglossan kleptoplasty. However, LGT is an unlikely explanation for the origin of kleptoplasty in sacoglossans for a number of reasons. Numerous independent LGT events have to be postulated to come together in just the right fashion to enable kleptoplasty to occur. Since LGT between eukaryotic cells of different kingdoms (chromalveolate to animal) has not been directly observed to date, such a scenario seems unlikely. E. chlorotica would have required much more than a few sporadic LGT events to use chloroplasts. It is well known that over 90% of the proteins needed for using plastids are coded for in the nucleus.5 E. chlorotica must therefore possess a large portion of that information for any chloroplast use at all. With such a large and specified content of DNA required for kleptoplasty, multiple, sequential LGT events are an exceedingly unlikely explanation for the origin of kleptoplasty in sacoglossans. There is also evidence of nuclear DNA for photosynthesis encoded in the kleptoplastic dinoflagellate Dinophysis acuminata.18 It can only sustain chloroplasts for 1–2 months, as opposed to E. chlorotica, which can do so for 9–10 months. The phylogenetic history postulated for kleptoplasty in D. acuminata is also very complex and different from sacoglossans, possibly involving gene loss and transfer events from multiple, independent sources. However, even evolutionists are very tentative about these speculations. Therefore nuclear genes for photosynthesis are found in two very different kleptoplastic organisms, which have very different proposed phylogenies for the acquisition of kleptoplasty. There is far more involved in kleptoplasty than just the transfer of some genes: the chloroplasts are exported from the algal prey into a completely different cellular environment (algal cells are very different to animal cells! ), and yet they still work. For example, chloroplasts are not incorporated naked into the epithelial cells of the sea slugs when they are ingested for use, as has been previously supposed. They have an animal membrane tightly applied to them when they are incorporated into the cytoplasm of the digestive tubule cell.19 This packaging procedure implies that the chloroplasts have to be properly integrated into the digestive epithelium of sacoglossans, which again suggests design. This also contrasts with proposed endosymbiosis scenarios wherein organelle membranes supposedly are derived from the cellular membranes of the ingested prokaryote. The ability to retain plastids long term is known only in a few sacoglossans, but evolutionists tend towards seeing even those as independent occurrences.20 Short-term kleptoplasty, on the other hand, is too widespread among the sacoglossans to presume it arose multiple times.21 Therefore, the sacoglossans were most likely originally designed with the ability to retain and use plastids, regardless of the length of chloroplast retention. While lateral gene transfer is unlikely to be the origin of kleptoplasty, it may help explain some of the ‘fine tuning’ of the ability in certain species of sacoglossans. This is far from certain, and degeneration and specialization from an original high kleptoplastic ability might be more likely from a creationist perspective. More research is required on the methods of chloroplast retention and usage within different species, as well as a proper baraminological analysis of the sacoglossans, to determine what is most likely. Because of the diverse and uniformly unlikely nature of evolutionary explanations of kleptoplasty, as well as the evident complexity of the apparatus, kleptoplasty was most likely designed by a single creator to resist evolutionary explanations, as per ReMine’s ‘Message Theory’. Neither does kleptoplasty provide a modern analogue for the evolutionary speculation of endosymbiosis. Kleptoplasty provides one more line of evidence that supports the single, intelligent Creator God of the Bible. Rumpho, M.E., Worful, J.M., Lee, J. et al., Horizontal gene transfer of the algal nuclear gene psbO to the photosynthetic sea slug Elysia chlorotica, PNAS 105(46):17868, 18 November 2008. Return to text. Sherwin, F. and Thomas, B., Are green sea slugs the ultimate created mosaic? Acts & Facts 39(9):18, 2010. Return to text. Rumpho, M.E., Pochareddy, S., Worful, J.M. et al., Molecular characterization of the Calvin Cycle enzyme phosphoribulokinase in the stramenopile alga Vaucherialitorea and the plastid hosting mollusk Elysia chlorotica, Mol. Plant 2:1384–1396, 2009. Return to text. Rumpho et al., ref. 1, pp. 17867–17871. Return to text. Pierce, S.K., Curtis, N.E., Hanten, J.J. et al., Transfer, integration and expression of functional nuclear genes between multicellular species, Symbiosis 43:57–64, 2007. Return to text. Rumpho et al., ref. 1, p. 17867. Return to text. Demick, D., Mitochondria—created to energize us, J. Creation 20(3):10–12, 2006. Return to text. Bell, P., The non-evolution of apoptosis, J. 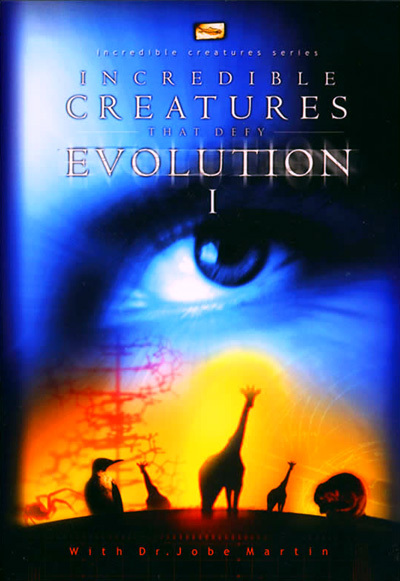 Creation (TJ) 18(1):86–96, 2004. Return to text. 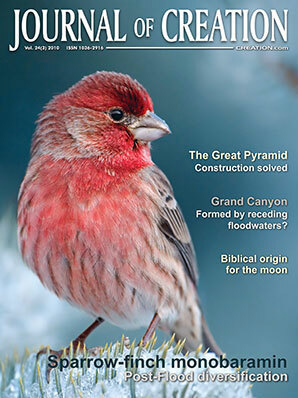 Jerlström, P., Is the evolutionary tree turning into a creationist orchard? J. 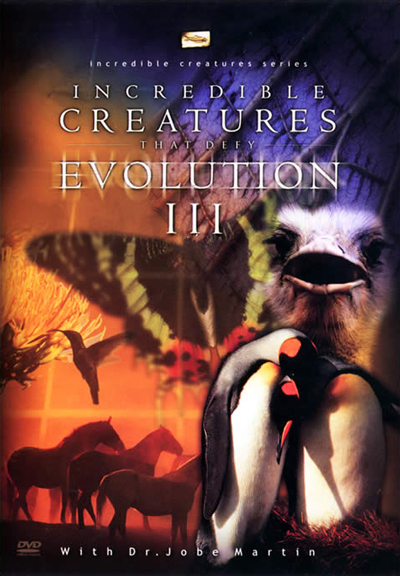 Creation (TJ) 14(2):11–13, 2000. Return to text. Pierce, S.K., Curtis, N.E. and Schwartz, J.A., Chlorophyll a synthesis by an animal using transferred algal nuclear genes, Symbiosis 49:121–131, 2009. Return to text. Pierce et al., ref. , pp. 126, 128. Return to text. Batten, D., Clarity and confusion: A review of The Edge of Evolution by Michael J. Behe, J. Creation 22(1):28–33, 2008. Return to text. Sanford, J., Genetic Entropy and the Mystery of the Genome, 3rd edn, FMS Publications, New York, 2008. Return to text. Williams, A., Mutations: evolution’s engine becomes evolution’s end! J. Creation 22(2):61–62, 2008. Return to text. Williams, A., Molecular limits to natural variation, J. Creation 22(2):97–104, 2008. Return to text. Williams, A., How life works, J. Creation 22(2):90–91, 2008. Return to text. Wisecaver, J.H. and Hackett, J.D., Transcriptome analysis reveals nuclear-encoded proteins for the maintenance of temporary plastids in the dinoflagellate Dinophysis acuminata, BMC Genomics 11:366, doi:10.1186/1471-2164-11-366, 2010. Return to text. Curtis, N.E., Massey, S.E. and Pierce, S.K., The symbiotic chloroplasts in the sacoglossan Elysia clarki are from several algal species, J. Invert. Biol. 125:336–345, 2006. Return to text. Händeler, K., Grzymbowski, Y.P., Krug, P.J. et al., Functional chloroplasts in metazoan cells—a unique evolutionary strategy in animal life, Front. Zool. 6:28, 2009. Return to text. 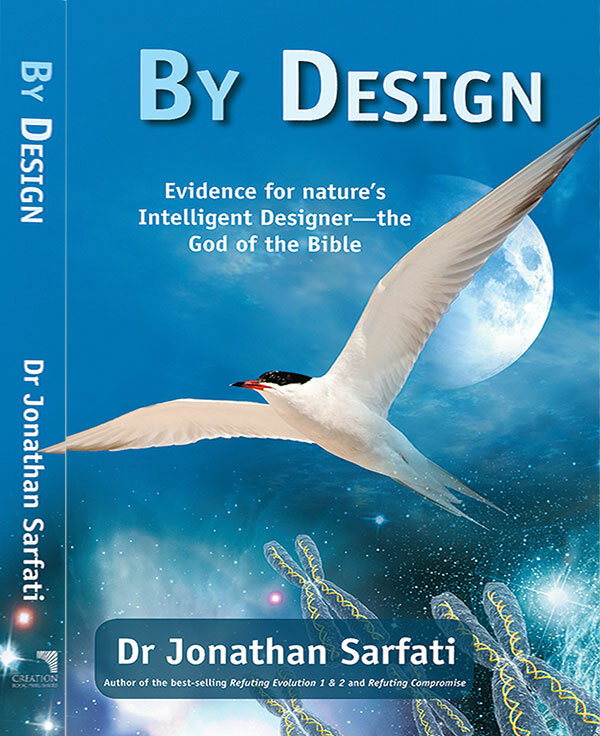 That God created things with a pattern of similarity that suggests one common Designer, but thwarts naturalistic explanations. See: ReMine, W., The Biotic Message: Evolution versus Message Theory, St Paul Science, St Paul, MN, 1993, and the review by Batten, D., J. 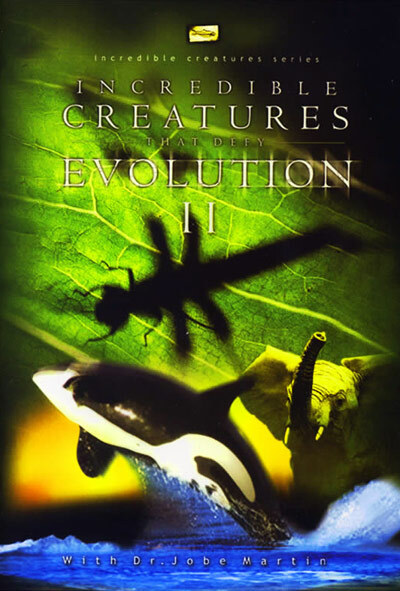 Creation 11(3):292–298, 1997. Return to text.